E-commerce is the process of buying and selling goods online. Designing, setting up and running an e-commerce website is a large undertaking and, if it is to be successful, requires as much effort as starting up a traditional ‘bricks and mortar’ shop. I have over a decade’s experience of designing for e-commerce as well as dealing with and understanding the needs of customers. The process of actually running a large e-commerce website on a daily basis has afforded me an insight into shoppers’ behaviour and expectations online which I have noted and incorporated into my website design. If you would like your own e-commerce website designed and built, or if you would like advice on your existing online shop please get in touch, I’d be happy to discuss your requirements. Please see examples of my e-comerce work below. I was tasked with updating the Karma Beauty online shop from an out-dated platform as well as giving the site a refresh. Building the site on the Shopify platform allowed me to deliver an elegant, easy to use website that is both robust and secure. 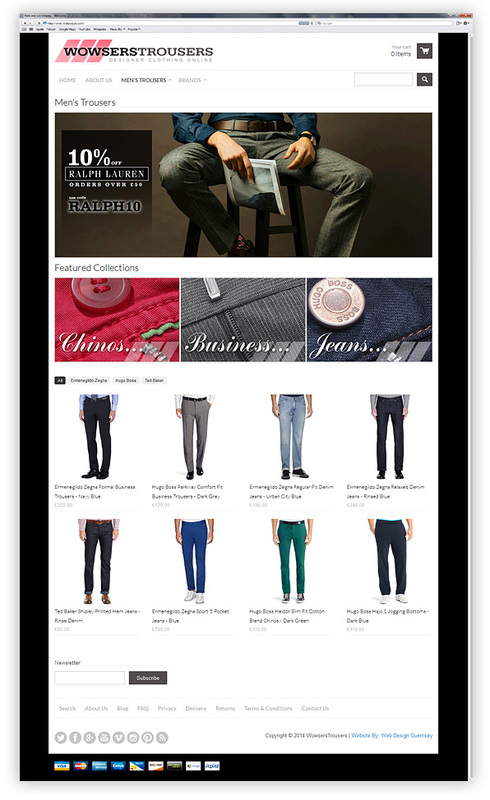 The team at Karma can update products, brands, categories and their blog from any device that can access the internet. They are also able to view and manage their orders through the easy to use admin area. 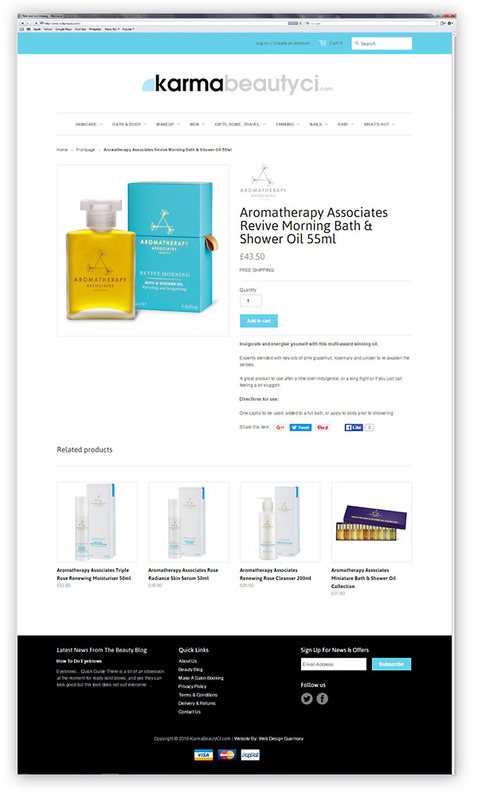 Click on the images above or here for further information about the Karma Beauty e-commerce website. 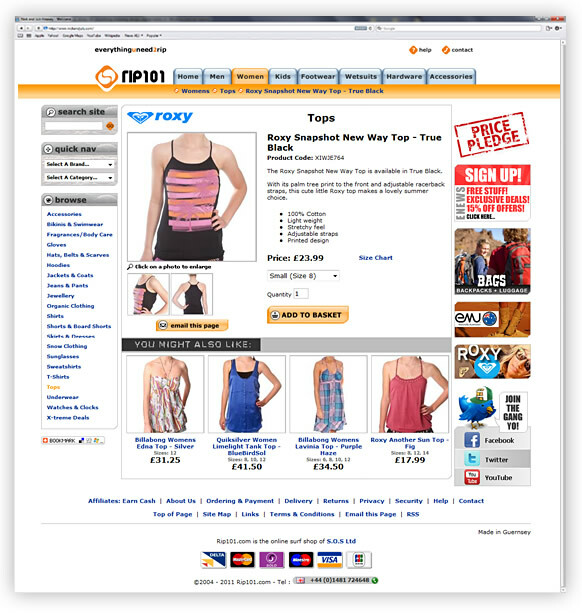 The site employs all of the latest features that a customer would expect to see in a modern e-commerce website. Products are clearly categorised and can be ordered by date of addition, by price, alphabetically or manually. The system allows the addition of voucher codes too. In recent years online voucher code use has exploded, adding this capability to an online shop improves e-commerce conversion rates and also allows merchants to work with large affiliate websites that specialise in online coupons. Many of the largest voucher code affiliates have hundreds of thousands of followers and email databases of up to 7 million customers. Having a promotion highlighted by such a partner website can result in a huge spike in sales and the acquisition of many new customers. 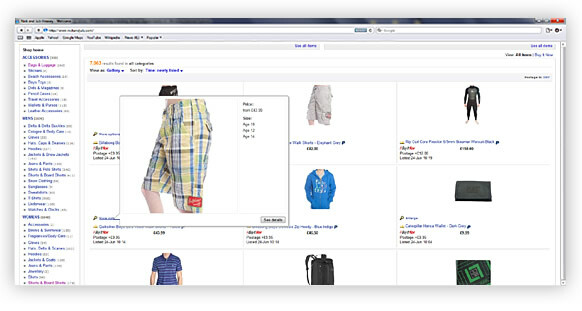 Individual product pages allow for enlarged, high quality detail and angled shots of a product which increase a customer’s likelihood to purchase. Also included is a ‘You Might Like’ or ‘More From This Collection’ link. Showing customers other products that they may be interested in helps to boost the average order value (AOV) of an online shop. Payment can easily be set up through PayPal and major credit cards via a PSP. 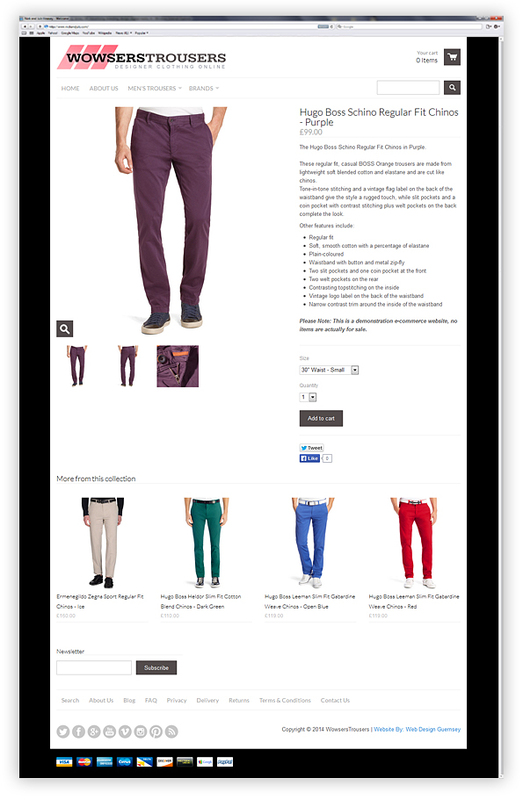 Click on the images above or here for further information about the Wowsers Trousers e-commerce website. My hands-on experience at RIP101 means that I have extensive experience in all aspects of e-commerce from selecting a Payment Service Provider in order to take 3D Secure (Verified by Visa and MasterCard SecureCode) payments online through to SSL Certificates and PCI compliance. Once all of the above are in place and an e-commerce website is online, populating the database with products and SKUs needs to be done with a high degree of skill and care. Clear product photography and the creation of compelling user and search engine friendly descriptions is essential in cutting down the number of customer questions, which in turn substantially shortens the length of time it takes for a browser to become a buyer. Just because you can’t physically see a customer (as you would in a bricks and mortar shop) there is no excuse for poor customer service. I have a great deal of experience in dealing with customers who always seemed to be pleasantly surprised to receive timely and clear answers to their questions when compared to other websites. 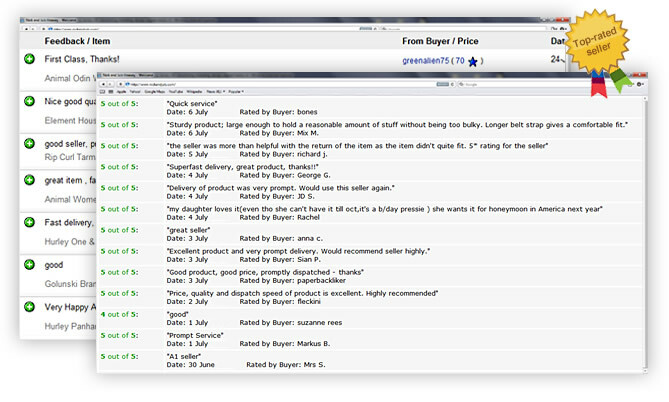 Great customer service leads to repeat orders and customer retention – a must for any e-commerce website. Unfortunately, even with the most rigorous measures in place, people may attempt to place fraudulent orders online. Knowing customer behaviour and having an ‘eye’ to spot details and signs that ‘don’t quite add up’ is another key skill that I have developed. In addition to developing and designing for a bespoke e-commerce website I also have a deep knowledge of other online marketplaces and sales channels. Websites such as Amazon, eBay and Pixmania account for 28 percent of total online retail sales and are continuing to grow. I have over 10 years experience in selling large quantities of products through Amazon UK, Amazon France, Amazon Germany and eBay UK. Online retailers of all sizes are recognising the profit potential of marketplaces. However tedious, day-to-day tasks from managing several thousand SKUs over a number of sales channels to order fulfilment can be a logistical nightmare. I have experience in streamlining these processes which results in less time managing and more time selling. If you would like help or advice on any aspect of selling online or e-commerce websites please get in touch to discuss your requirements.